MIMI WILLIAMS DESIGNS is a full service residential and commercial design business offering twenty plus years of experience. Mimi has also been an established art and antiques dealer since 1992. Mimi's work has taken her across the country to Georgia, South Carolina,New York, Chicago, Florida, California and Cananda. Her work has been featured on HGTV and in Veranda Magazine, Traditional Homes, Better Homes and Gardens, Atlanta Homes & Lifestyles, Atlanta Magazine, Atlanta Home, Souther Accents and Southern Living. 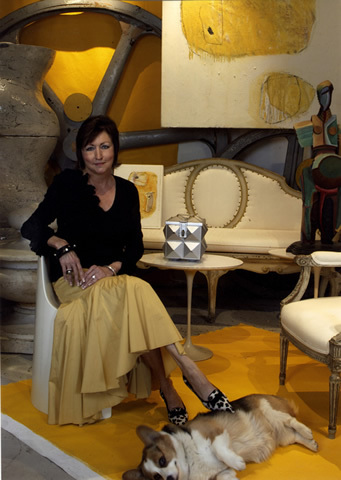 Her shops have received numerous awards including Atlanta's "Best of the Best" and Architectural Digest's "Ad at Large". Her design style is timeless, elegant and comfortable. Her spaces are intensely layered yet well edited, incorporating pieces that span the globe,including 18th and 19th Century Antiques as well as modern art and sculpture. Often the rooms are grounded by neutral palettes, but even the neutrals Mimi uses can be forceful, such as her signature black and white. In the same spirit, she likes strong scale and geometry.